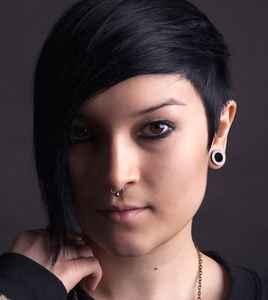 Under her real name, she mostly composes and plays house music, while her alias Nocturnal Sunshine is dedicated to dubstep. She also takes part in an electronic dub duo called She Is Danger with Lena Cullen. Maya declares she started to have a passion for music in early teens and decided to learn how to produce music using the Cubase software program when she was fifteen. She first produced hip-hop and trip-hop. A few years later, she released her first two records on Dogmatik Records, in 2008 and 2009, which were more house music based. Having already remixed acts such as Massive Attack and Gorillaz with She Is Danger, Maya gained her breakthrough exposure in 2010, when she released a four-track EP on Franck Roger's label, Real Tone Records. She was then named by DJ Mag as one of the best newcomers that year, as her track What They Say, taken from the eponymous EP, was also one of the most play listed by DJs on Resident Advisor. In 2011, she featured on many specialized magazines' covers like Mixmag's, and her growing fame opened new doors, such as the BBC's, which invited her to record an Essential Mix of her own which was later nominated for Essential Mix of the Year 2011. Later on that year, she was voted ‘Best Newcomer 2011′ at the Ibiza DJ Awards 2011 and came ninth place in Resident Advisor's annual DJ ranking.